This refreshing and mouth watering salad contains nature’s electrolytes. Both beets and watermelon is a good source of potassium. 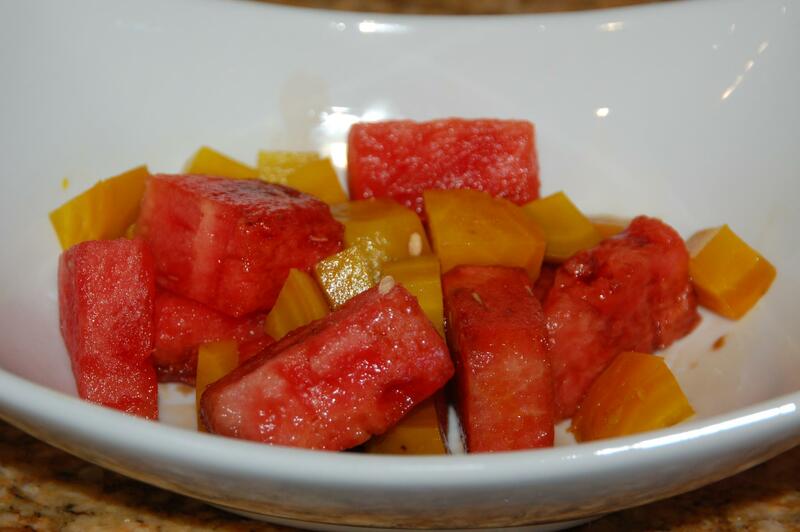 In addition watermelon is packed with vitamin C, vitamin B-6 and contains antioxidants. Wrap beets individually in heavy duty aluminum foil and roast beets for 45-60 mins in oven 400F depending on size. Allow to cool. The skin should peel off easily. 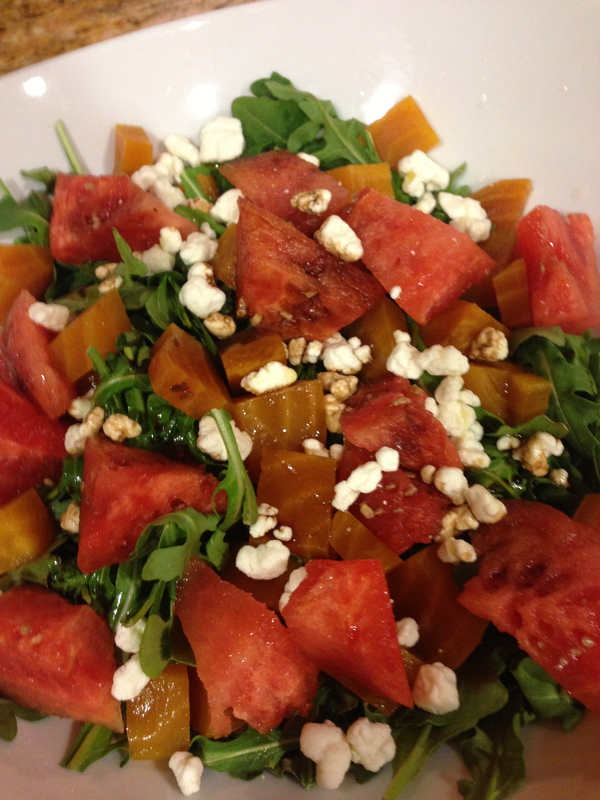 Cut the beets and watermelon and add to arugula. Sprinkle with goal cheese, a touch of olive oil and a cherry balsamic vinegar.